They are shiny, they are green, and they like to hang out in groups and chew holes in the leaves of roses, grapes, and many other plants. Who is it? 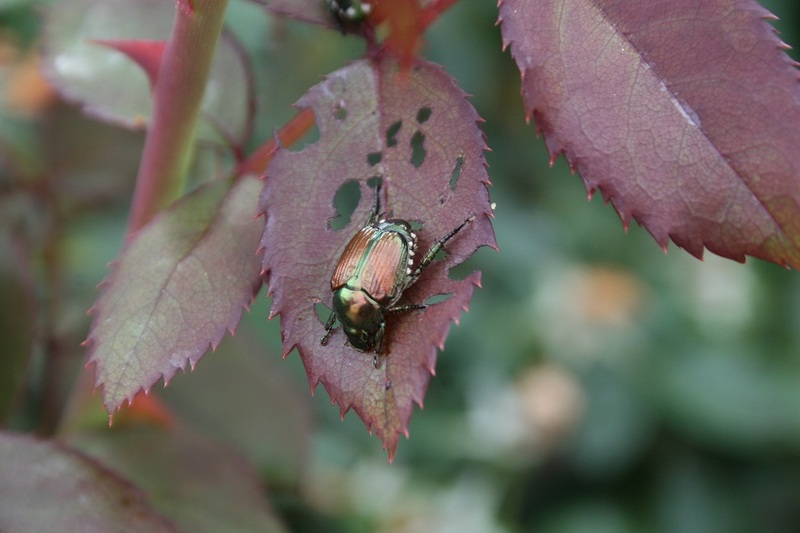 You guessed it – Japanese beetles.